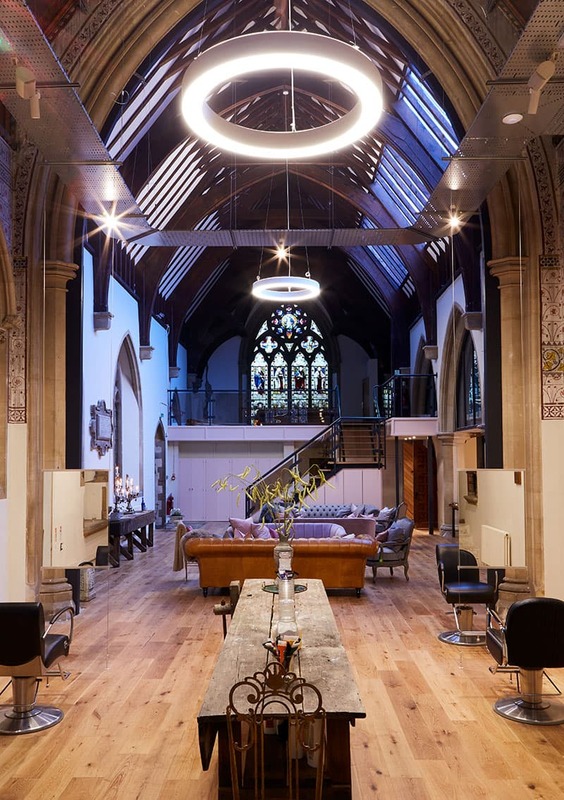 Established in 2001 with locations in London and the home counties, The Chapel hair salons offer a unique experience in inspiring surroundings whilst providing a warm welcome for all. 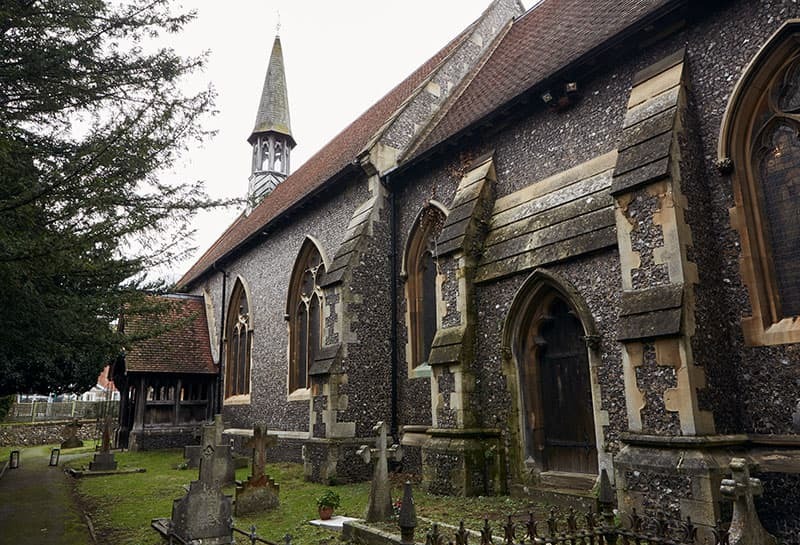 Some of their spaces include the founding, Baptist chapel in Tunbridge Wells, along with a Victorian pub in Islington and an old school house in Sevenoaks. 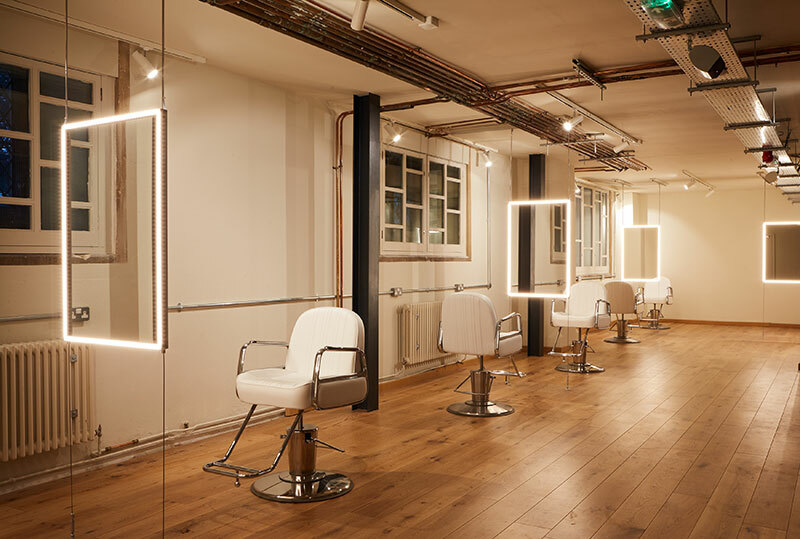 No two salons are the same. 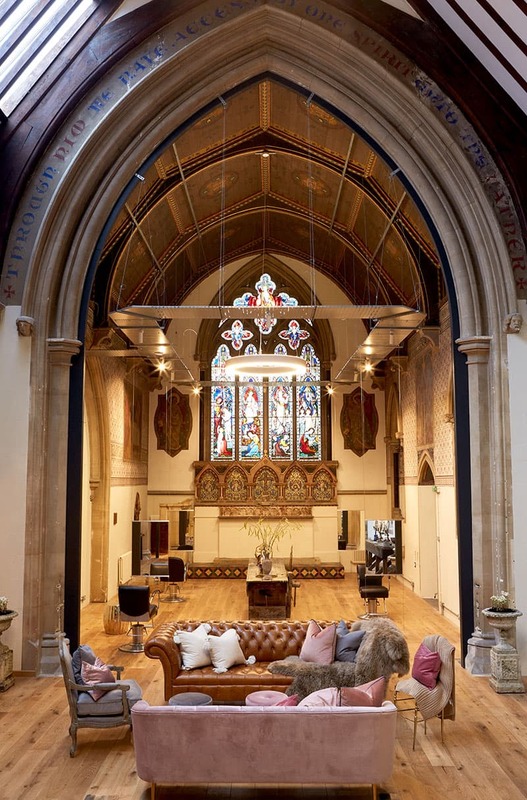 Situated on the Thames, between rich meadows of the river valley and alongside vast woodlands of the Chiltern Hills, lies one of The Chapel’s most unique spaces to date – a former Church of the Holy Trinity in Marlow. It took five years for Co-founders Amanda and Toby to find their perfect Marlow location. Yet, the search was complete as soon as they stepped inside the building. 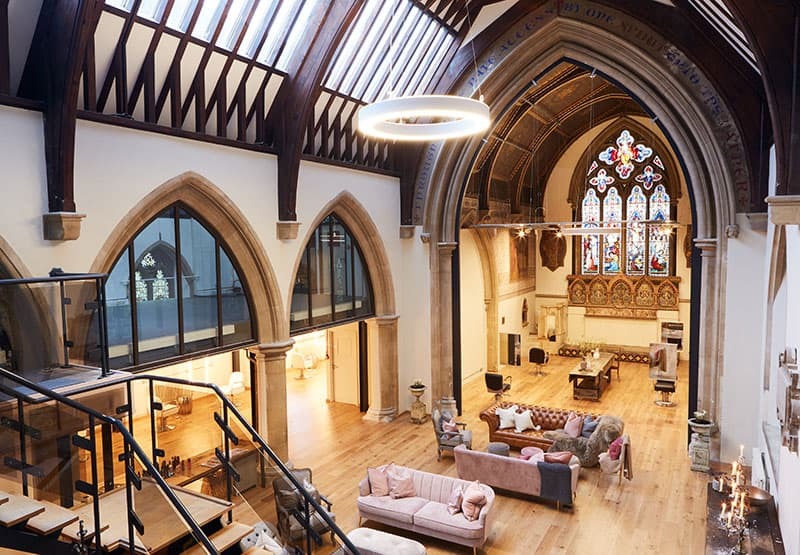 With towering stained glass windows and enormous, original stone walls, this grade II listed Victorian masterpiece was exactly what they were looking for. 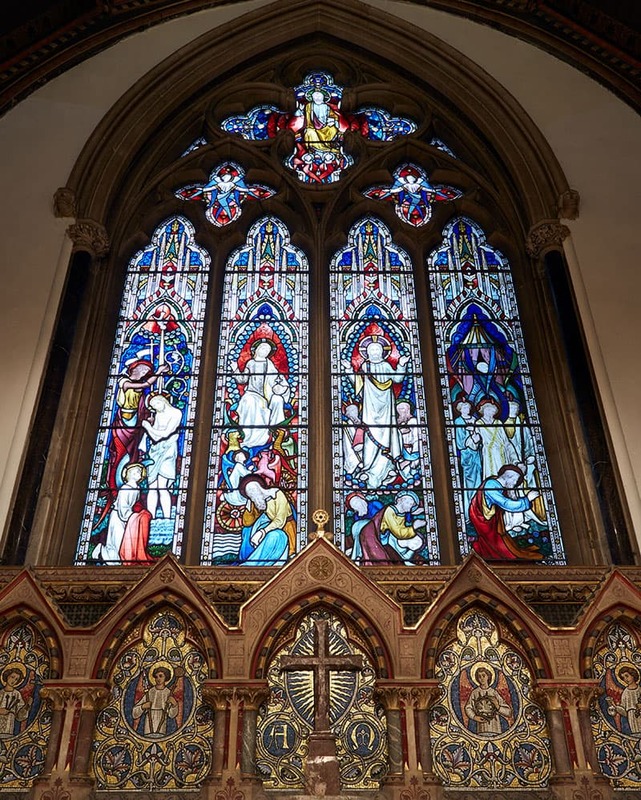 Inside, they could create the unique aesthetic and intangible feeling that makes The Chapel different. Renovations started in early September 2018 and finished at the end of November in a quick 12-week turnaround. 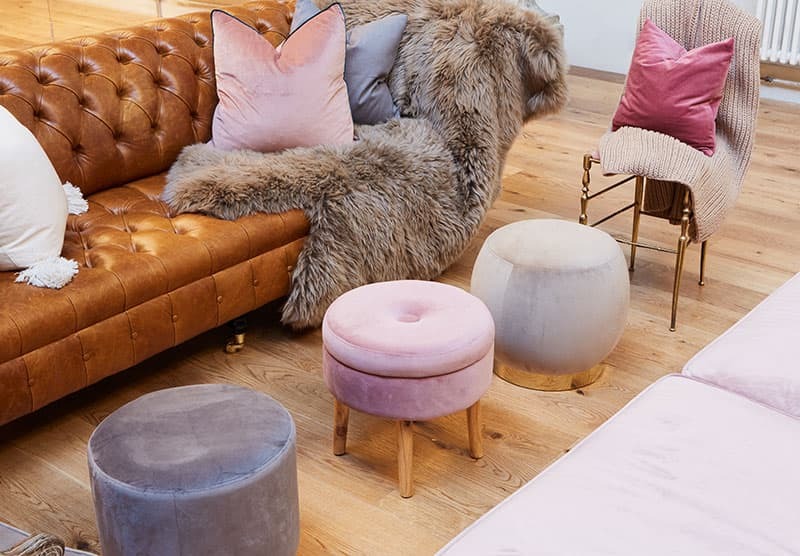 With most of the building’s traditional features preserved, work focused on transforming the space from 80s style offices into a luxurious environment for customers to enjoy. Partition walls were removed, along with old facilities and carpet tiles. As underfloor heating (UFH) was already installed, the plan was to preserve this and lay a compatible wood floor. Chepstow Rustic Oak Lacquered was chosen for its natural colour, traditional look and superior quality. With a 21mm thickness, the engineered wood boards provide excellent stability and an even heat transfer with the UFH. 5 layers of UV cured lacquer add a highly resilient finish in this demanding environment. And with a 6mm oak wear layer, there’s the flexibility to sand back and refinish many times, giving extensive longevity to the flooring. The boards were stuck down to the existing screed using Woodpecker primer and adhesive – a flexible glue that accommodates the natural expansion and contraction in wood for enduring stability with UFH. 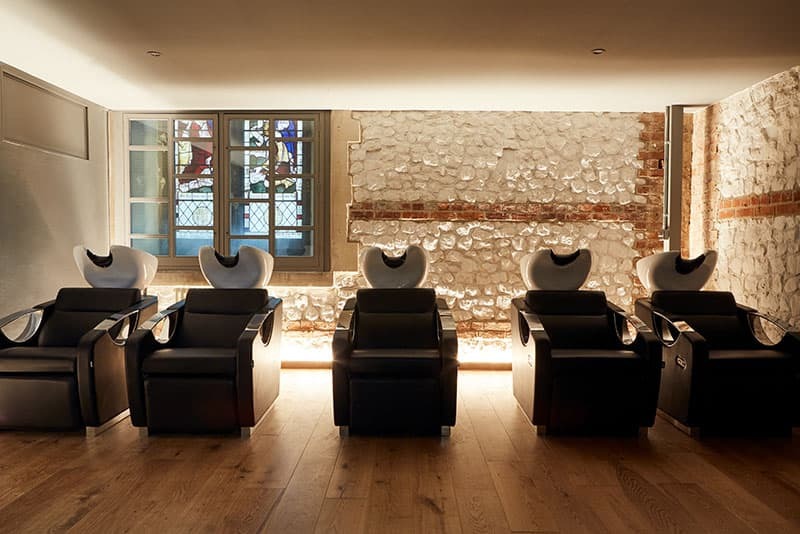 Rustic Oak is used everywhere in the customer-facing areas of the salon, capturing a seamless consistency throughout the open plan. 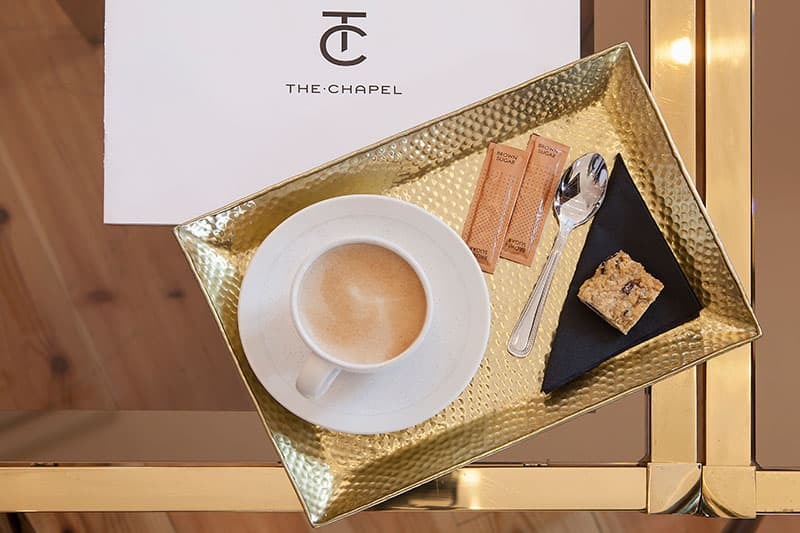 Combined with the creams, soft pinks and neutral colours of the décor, the effect is warm and welcoming – perfectly fitting The Chapel’s ambience.